The Cleaning Dude of Greensboro, the #1 Greensboro pressure washing service, is an industry leader of providing pressure washing services. 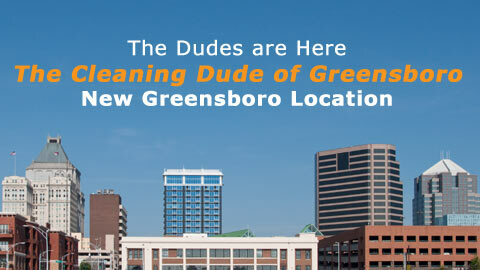 We offer the following professional cleaning services to Greensboro and the surrounding area. We strive to provide superior service that you can rely on every day. To keep this pledge, we make sure that we arrive as scheduled while providing friendly service that is guaranteed unconditionally. Moreover, we strive to provide the best pressure washing, home and commerical cleaning services available. The size of the job does not matter at all, as our team of well-trained professionals will be more than happy to demonstrate their training and dedication to service for exterior home and business pressure washing and cleaning services, as well as window, gutter and soft-wash roof cleaning. 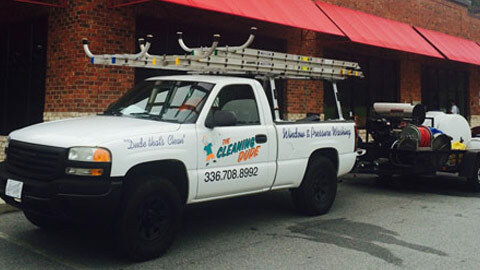 The Cleaning Dude of Greensboro has all the needed licenses and certifications needed to operate and every single assignment we complete is finished only when the service meets our own high-level of criteria along with the customer’s, as we strive for total and complete satisfaction for all of our clients.